As distributors are aware, the needs of certain customers are dependant on the market of their business. Specific markets look for certain product features to make them the best suited for their type of facility. With products such as soap and hand sanitizers, some products cross-over to different sectors, but the distinguishable features of each soap heighten the appeal for a particular market. Selling in the education market is not a uniform process. From grade school to the university level, as students grow in age, there is a noticeable shift in the type of soap officials are looking to purchase for their facility. With nursery schools and grade schools, end users have consistently purchased liquid hand soaps to minimize the fun students could have with the type of soap available in the restroom. Distributors have gotten negative feedback from grade schools on the foam soap, says Keith Kovach, president of JB Supply Inc., Pottstown, Pa. Schools stay away from the foam because there have been cases where the kids dispense the product from the machine and throw the soap around the bathroom as if it were shaving cream. However, in secondary education facilities, there has been an increase in demand for foam soap. Foam is cost effective because of the locking cabin that hermetically seals the product, according to Ben Bell, sales manager of Five Star Sanitary Products, Colorado Springs, Colo. Another feature is the foam drastically diminishes the chance of contamination associated with liquid soap. Liquid soap offers two methods of dispensing. 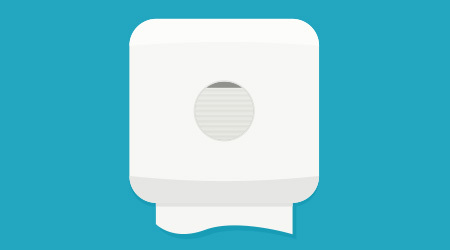 Schools can choose from the bag-in-the-box system where they put the bag of soap in the dispenser and connect the bag to the nozzle. The other option is selling the soap in gallon containers. It is pumped from the container into the dispenser. However, sitting in the gallons, bacteria can form and the dispensers have to be washed out consistently, says Kovach. Besides the differentiation of soap products in use from grade schools to secondary institutions, Methicillin-resistant Staphylococcus aureus (MRSA) outbreaks have encouraged interest and intrigue of other hand products, specifically hand sanitizer and antibacterial soap. “When the bird flu and MRSA stories were constantly on the news, that is when I had the most inquiries about hand sanitizer,” says Kovach. The stories of the outbreaks created interest from end users looking to squash potential outbreaks to rid schools of any infectious diseases, according to Kovach. Sanitizers also protect the schools from a public relations standpoint if an outbreak occurs, says Ed Corr, vice president of Corr Distributors Inc., Tonawanda, N.Y. Installing the dispensers shows that schools have taken the right precautionary measures to prevent outbreaks. States such as New York and Illinois have enacted a green cleaning act for schools, requiring all products within the school to be environmentally friendly. The act has helped distributors sell the green products, particularly soap, to end users. “The green foam soaps are the most popular because of the environmental benefits of it being a green product and the time savings the product offers by having a low number of changing frequencies,” says Corr. While the education market has not fully embraced using foam soap on all levels, the commercial markets have capitalized on the relative cleanliness of the product. Most of those facilities are installing foam soap dispensers inside their facilities. The image of the facility is an important facet incorporated into the type of soap used in the restroom. The foam soap minimizes the presence of any product on surfaces in the restroom. Kovach has also seen an interest in sanitizers in the commercial market. He recently had one large office complex install a sanitizer in the vestibule. The interest in sanitizers has also increased in commercial buildings where people are asking a number of questions about the features of the sanitizers, says Kovach. In addition to hand sanitizer, commercial facilities are using anti-bacterial soaps to prevent infections. However this isn’t always easy with the rising trend in green cleaning. Similar to the education market, the healthcare market follows in similar fashion where particular facilities within the market require different types of soaps and sanitizers. To further complicate the process, distributors encounter more obstacles when selling soaps and sanitizer to the healthcare market to meet health standards specified by the facility. For example, Ford System’s has had difficulty selling in the healthcare market because most of the facilities are tied into buying groups and medical suppliers, limiting the number of facilities allowed to make their own decision on who to buy from. Healthcare facilities, specifically hospitals, require that their soaps and sanitizers meet certain criteria before it is approved for use in the facility, according to Bell. Due to the level of cleanliness needed in the facilities, antibacterial soaps are prevalent in healthcare facilities. It has forced distributors, such as Dan Quinn, vice president of sales, Pro Star Industries, Bryan, Texas, to push the products aggressively. When distributors earn the business of a healthcare facility, the specific type of soap and hand sanitizers varies from each part of the facility. Nursing stations might stock hand sanitizers, while foaming hand soap is available in the restroom and disinfecting soap is used in emergency rooms, says Bell. The interest in a particular soap is not exclusive to only those markets. There are other markets that have found a niche soap for their needs. In industrial facilities, heavy-duty soap affords workers the ability to clean all of the oil and grease off their hands. The soaps sell well in body shops, production buildings and any place where workers are extensively working with their hands, says Kovach. Taking a page from the commercial market, restaurants have been purchasing more foam soap for their restrooms to minimize the leakage caused by liquid soaps. The foam offers a more aesthetically pleasing restroom with the elimination of the liquids. In kitchens, sanitary requirements vary from state to state. For example, in Texas. health inspectors now require all sinks in the kitchen to have a sanitizer dispenser and soap dispenser next to the sink, says Quinn. Each soap offers several features that make it the best-suited product for a particular market. Distributors cannot try to pigeonhole one soap into only one business sector because certain attributes make the soap compatible for different markets.